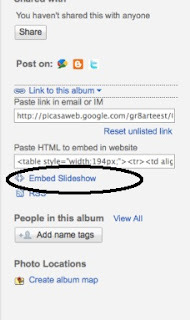 For the Love of Teaching: How to Add a Slideshow to Your Class Webpage, Wiki, or Blog! 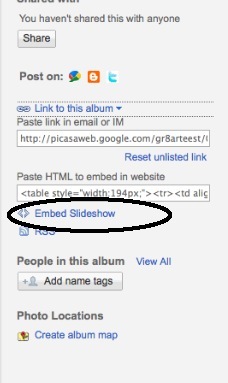 How to Add a Slideshow to Your Class Webpage, Wiki, or Blog! 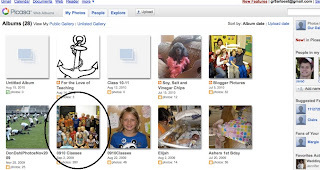 Have you ever wanted to add a slideshow of pictures to your class webpage, but just didn’t know how? Imagine if you could have an ongoing slideshow on your page that automatically updated itself every time you added pictures to your photo album. 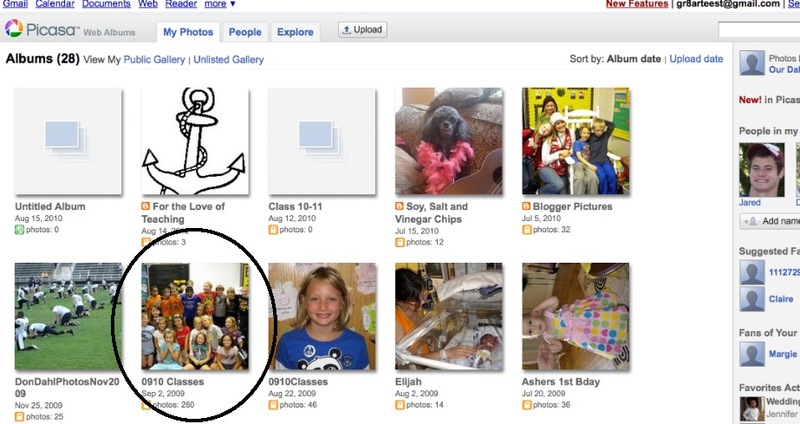 Better yet, what if parents could buy individual prints by clicking on your slideshow? 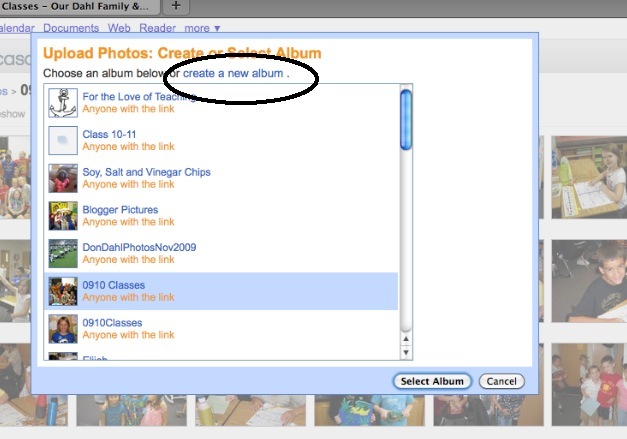 Google Picasa Web Albums can do all of that and more. If you don’t have a Google account yet, the following link will help you set up the account AND get you set up with Picasa. Google and Picasa set up. If you already have a Google account, sign in and then go to photos. That will take you to Picasa. Follow the instructions to set up your account. 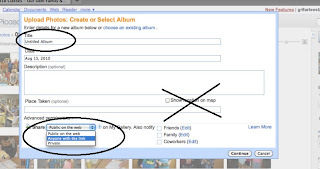 Now that your account is ready to go, you will need to set up a specific album for your slideshow to pull pictures from. To set up your album, click on the ‘upload’ button at the top of your Picasa Web Albums page. 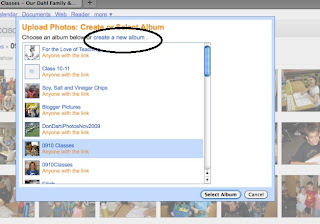 A box will appear titled “Upload Photos: Create or Select Album.” Select ‘create a new album’. 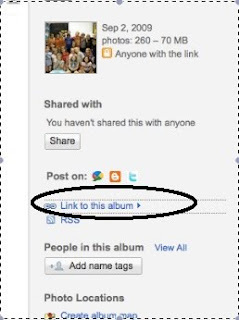 In the new box, title your album (I usually use the current school year), do not select the show location on map box (for security reasons), and finally in the share dropdown box select ‘anyone with the link.’ Then click the ‘continue’ at the bottom of the box. The continue button will take you to the upload page. Here you can upload pictures individually. I highly recommend downloading the free Picasa software instead as it will automatically update your web albums for you! 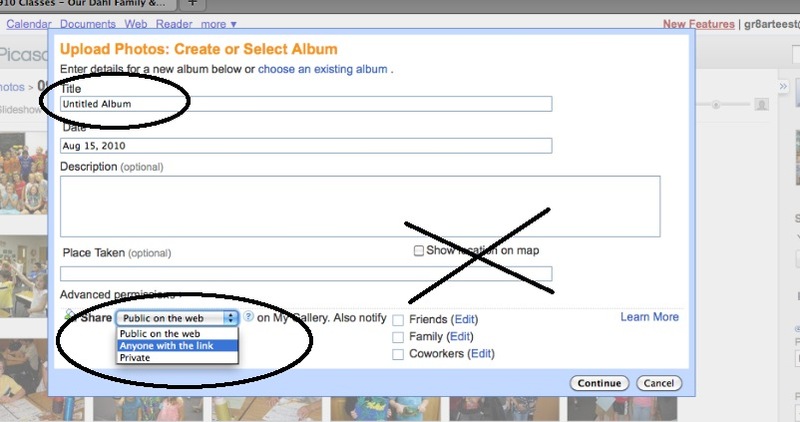 To choose the latter option, select ‘learn more’ in the More Ways to Upload Pictures box and follow the directions. Time to make your slideshow. First, open the album you created. A box will appear showing a preview of your slideshow. You will need to copy the html code in the box, and paste it into your webpage html where you would like the slideshow to appear. You will need to access the html for your website, then paste the code where you want the slideshow to appear. 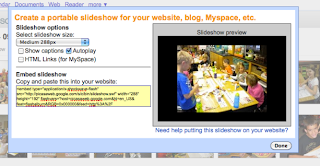 Many sites, such as Wikispaces, have tools to help you add slideshow html. For help in embedding your html in your site, follow the link Need help putting this slideshow on your website? Your slideshow will continue to grow throughout the year. A wonderful last day of school activity is to watch the slideshow as a class. The students can’t get enough of it! 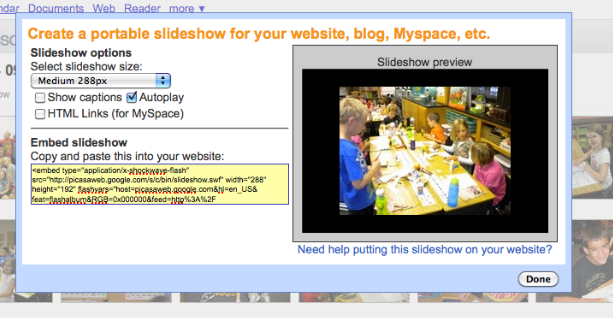 Have fun with your Picasa Slideshow!